In Vilano Beach, on A1A just south of St. Augustine Beach. 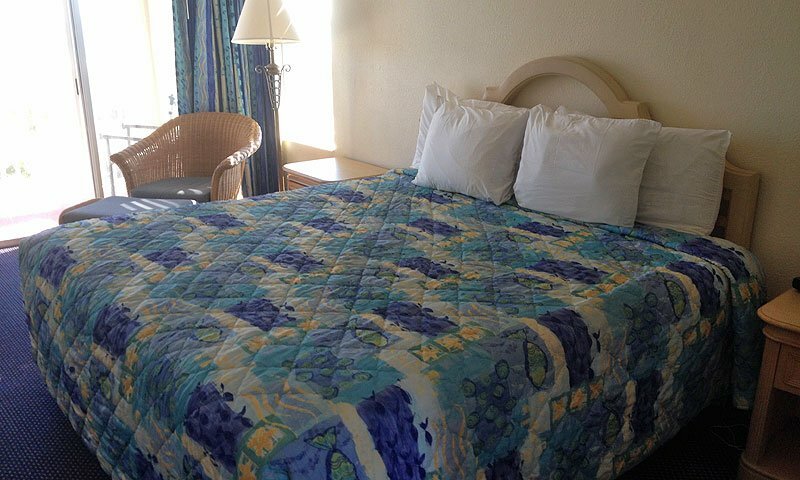 OceanView Lodge is a St Augustine beach hotel, located at beautiful Vilano Beach! 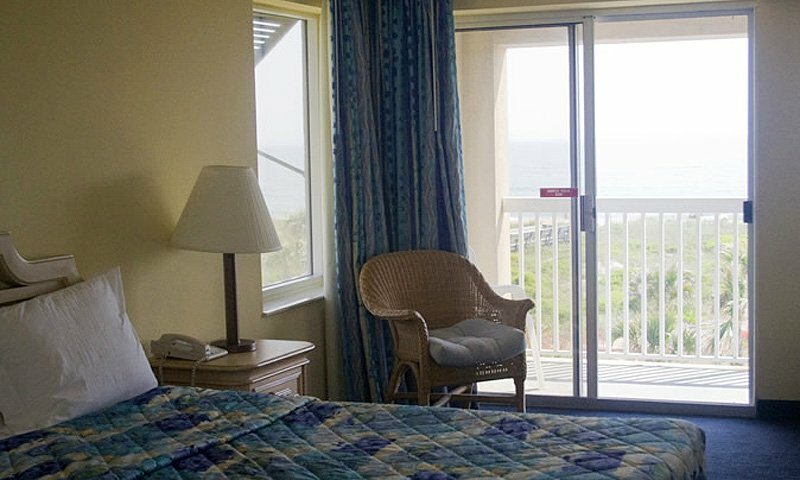 The OceanView Lodge offers 28 comfortable rooms all with breathtaking views of the Atlantic Ocean. 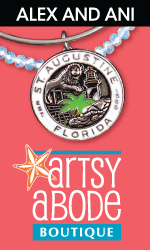 Located just five minutes over the arched bridge to Vilano from the North end of the historic district. 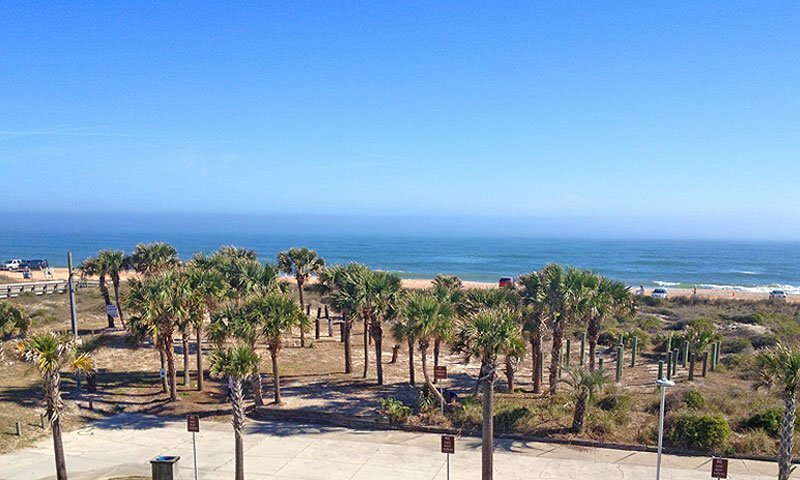 You can be close to it all; the sites and attractions of downtown as well as the sunny and relaxing Florida beach. Enjoy your stay in one of Ocean View Lodge's comfortable rooms, all featuring private ocean view balconies, or in a Jacuzzi suite. Awaken to a picturesque sunrise over the blue, Atlantic Ocean. Ocean View Lodge offers a free continental breakfast, which you can also take up to your room to enjoy. 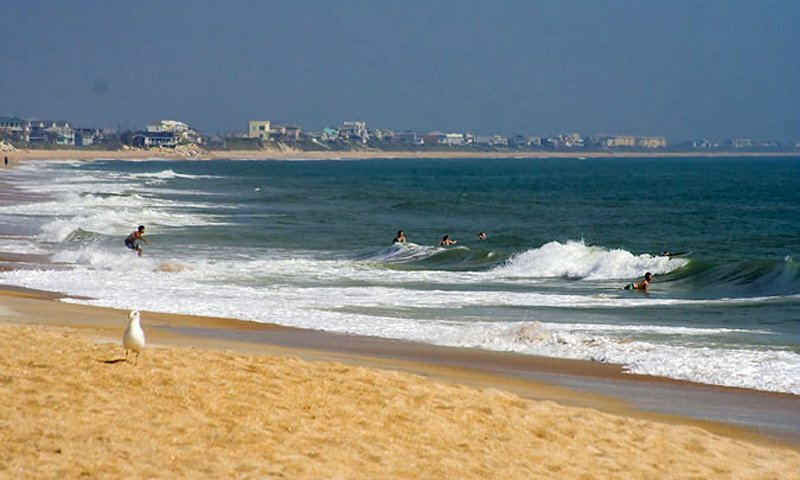 You have easy access to Vilano Beach which is a favorite for surfers, skim boarders, fishermen, and those hoping to catch a glimpse of dolphins! The peninsula of Vilano Beach that juts out where the Matanzas River meets the ocean is called Porpoise Point. At this peninsula it's not rare to catch sight of porpoises leaping in the water. 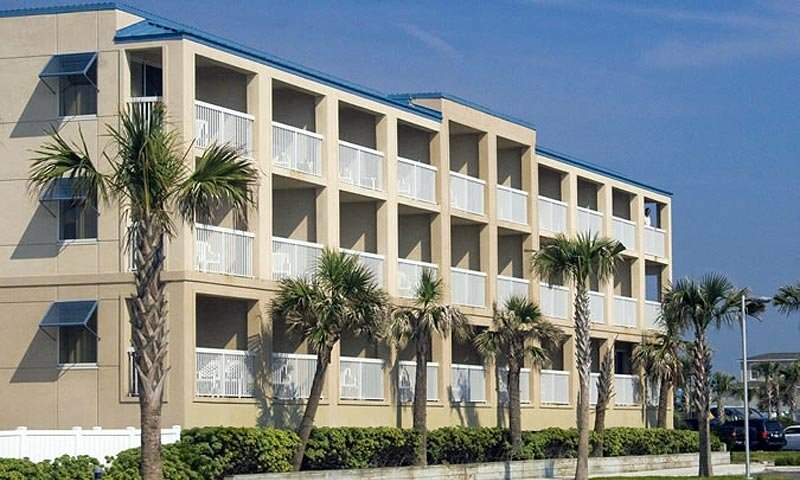 The OceanView Lodge is also near the public access fishing pier and beach pavilion, complete with grills, a toddler park, restrooms, and outdoor showers, giving you the chance to rinse off before heading back up to your room. There are excellent local restaurants right in Vilano Beach and, of course, in historic downtown St. Augustine. 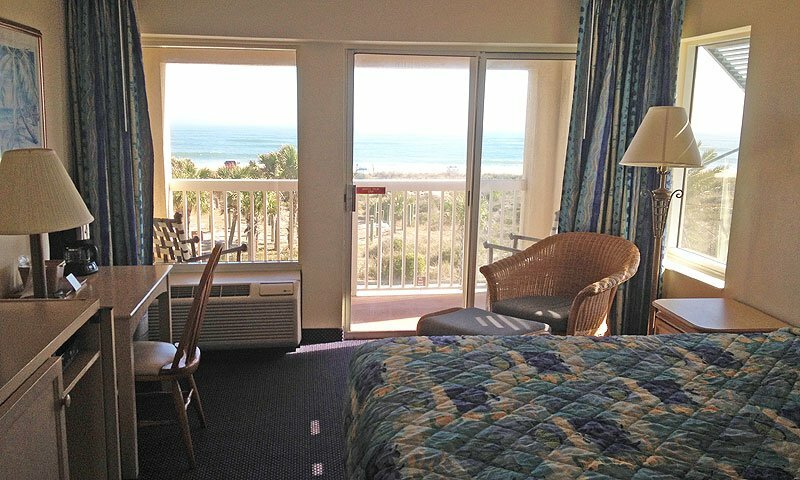 Enjoy all that OceanView Lodge and historical St. Augustine has to offer on your next relaxing beach vacation in Florida. Great hotel on the beach! Fabulous views! Direct beach access. Convenient to all the attractions. We arrived days after Hurricane Irma and the staff was very friendly and helpful, and our room clean and comfortable. We will definitely stay at the OceanView Lodge again! We visited the Ocean View Lodge in December to see the Christmas light display. We travel to St. Augustine 3-4 times a year and this is the first time we stayed at this motel. We were pleasantly pleased at the cleanliness and large room. The person at the counter checking us in was very nice. We plan on staying here when we come up in the summer. 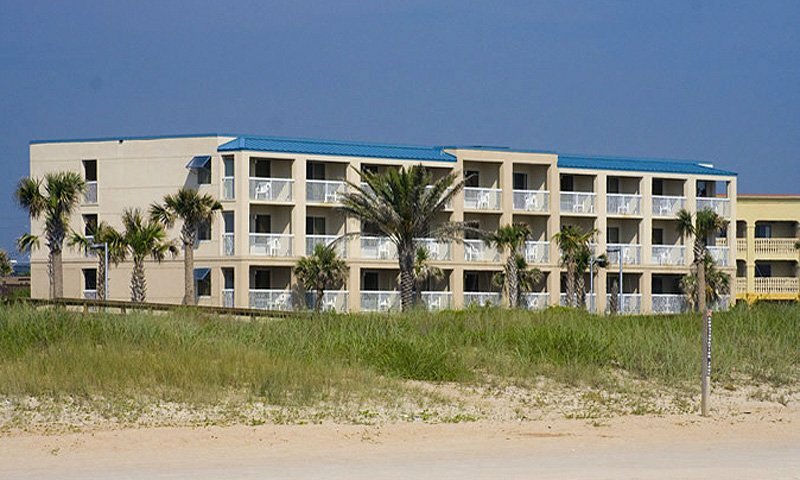 It's right across from the beach and close to all the downtown activities.